But after months of talks, the two companies hit a wall. Swatch, whose brands include Longines, Omega and Blancpain, demanded a commitment that Amazon proactively police its site for counterfeits and unauthorized retailers. Amazon refused, according to Swatch Chief Executive Nick Hayek, putting a deal between the two on ice. Amazon declined to comment on Swatch. Amazon is courting companies across the retail spectrum, but one sector is still mostly holding out: the world’s club of luxury brands. Swatch and others in the luxury industry say Amazon’s online marketplace undermines the strict control they say is key to maintaining a sense of exclusivity—and keeping prices high. While some makers of luxury products have decided to join Amazon, many of the industry’s biggest players—including Swatch, Gucci owner Kering, luxury-watch maker Cie. Financière Richemont SA and LVMH Moët Hennessy Louis Vuitton SE —are staying away for now. The absence of high-end products has hampered Amazon’s push to be a force in the fashion industry, despite years of working to expand the merchandise it sells officially though its website. Adding luxury goods would help Amazon boost margins and build loyalty among customers of Amazon Prime, its premium service favored by higher-income shoppers that offers faster delivery and other perks, according to former executives familiar with the company’s shopper base. Amazon has been investing heavily in the fashion industry in recent years. It opened a large fashion photo studio in Brooklyn, started its own private-label brands and sponsored glittering events such as the Met Ball at the Metropolitan Museum of Art. The company also has introduced a “luxury beauty storefront” within its site to draw customers looking for high-end brands. Amazon has won over some of the world’s biggest lifestyle companies by pledging action against unauthorized retailers and knockoffs. Earlier this year, Nike Inc. agreed to make some of its products available for sale directly from Amazon, in exchange for a promise of limited policing. But Amazon typically only does that for the biggest brands, people familiar with the arrangements say. Nike sales the last fiscal year were $34 billion, nearly five times Swatch’s annual revenue. Amazon is concerned about counterfeit goods, but it is also reluctant to help brands stop legitimate products from being sold outside approved distribution channels, said James Thomson, a former senior manager in business development at Amazon and now partner at brand consultancy Buy Box Experts. A multitude of third-party sellers—which often sell at discounts—helps keep prices low on the site with legitimate merchandise, too. “Amazon will say to any brand, ‘your distribution problem is your distribution problem,’ ” Mr. Thomson said. An Amazon spokeswoman said it works with brands and manufacturers to improve its counterfeit detection systems. She said the company has automated systems in place that constantly scan for and block potential counterfeiters. “We take this fight very seriously,” she said. Amazon does have programs to help protect brands, such as one introduced last year requiring fees from third-party sellers and invoices proving goods are legitimate. (The fees have since been discontinued.) But many sellers were grandfathered in under the old rules, and the programs offer brands varying levels of protection against unauthorized merchandise. The Amazon spokeswoman said a different program, called the Amazon Brand Registry, provides rights owners access to tools including proprietary text and image search and more authority over product listings. 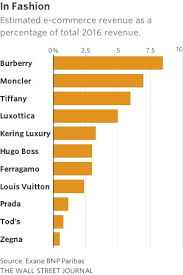 Luxury brands want more. Swatch, in its talks with Amazon, demanded a written commitment from Amazon to deploy its “best efforts” to fight knockoffs. Amazon’s approach, former employees and analysts say, is often reactive, depending on brands to complain first before a listing is removed. “Amazon doesn’t want to be a policeman,” says Cynthia Stine, president of eGrowth Partners, which works with third-party Amazon sellers to fight account suspensions and improve daily operations. Some of the more affordable designer brands, including Nicole Miller and Calvin Klein, have moved to Amazon anyway. Kate Spade had, too, before shifting course in February, according to a spokeswoman, stopping the sale of handbags and small leather goods though the site. Joshua Schulman, a senior executive at Coach Inc., which bought Kate Spade in July, has said the company wants to focus on selling through its own e-commerce channels, rather than Amazon. “For the time being, we don’t see [Amazon] as a true luxury play,” Mr. Schulman told analysts. Representatives for Nicole Miller and Calvin Klein didn’t respond to requests for comment. LVMH, which owns Louis Vuitton and Christian Dior , said it sees little opportunity for dealing with Amazon. “We believe the business of Amazon does not fit with LVMH, full stop,” LVMH’s chief financial officer told analysts last October. Kering, owner of Gucci and Yves Saint Laurent, says it has no relationship with Amazon and declined to comment further. One of the biggest worries for these luxury companies: The difficulty of segregating their product listings from the rest of the goods sold through the site. That means a $5,000 suit from luxury Italian menswear company Brioni, a subsidiary of Kering, can appear next to a $200 suit from Kenneth Cole. “That contradicts the essence of luxury selling and shopping, where the product is the product also because of its environment,” says Jean Cailliau, executive adviser at Paris-based investment bank Bryan, Garnier & Co. Some luxury companies have struck out on their own, funding e-commerce sites. LVMH recently launched 24sevres.com, which offers 24-hour delivery of select LVMH products in 70 countries. Richemont, the Swiss conglomerate whose portfolio includes Cartier, owns a 49% stake in Yoox Net-a-Porter Group, a London-based company that specializes in online luxury retail. Still, Amazon’s massive customer base makes it difficult for the luxury industry to ignore. It now sells more than 40 cents of every dollar spent online in the U.S., according to market research firm Slice Intelligence. More than half of all product searches start on Amazon, too, according to BloomReach. No other retailer comes close.